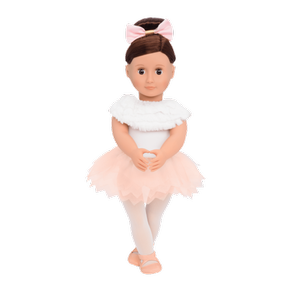 Amelia is a non-posable doll whose neck, shoulders, and hips rotate so that she can be positioned in many different ways! 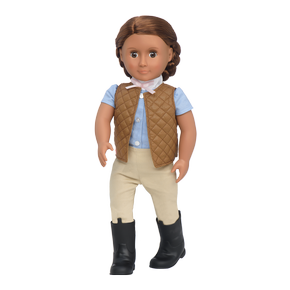 Amelia’s hair is silky soft, and fun to brush and style. Amelia is living her dream of being an inventor, and what a dream it is! After all, not everyone gets to invent a robot to have as a best friend (and this robot really walks!) She wears a purple button-up t-shirt, a flowing purple skirt with a sparkly waistband, gray knee socks, and boots. 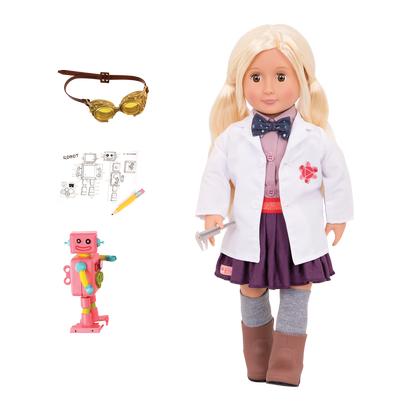 Her adorable bow tie has outer-space prints on it, and her white inventor’s lab coat has an embroidered molecule logo – the perfect symbols for an inventor! 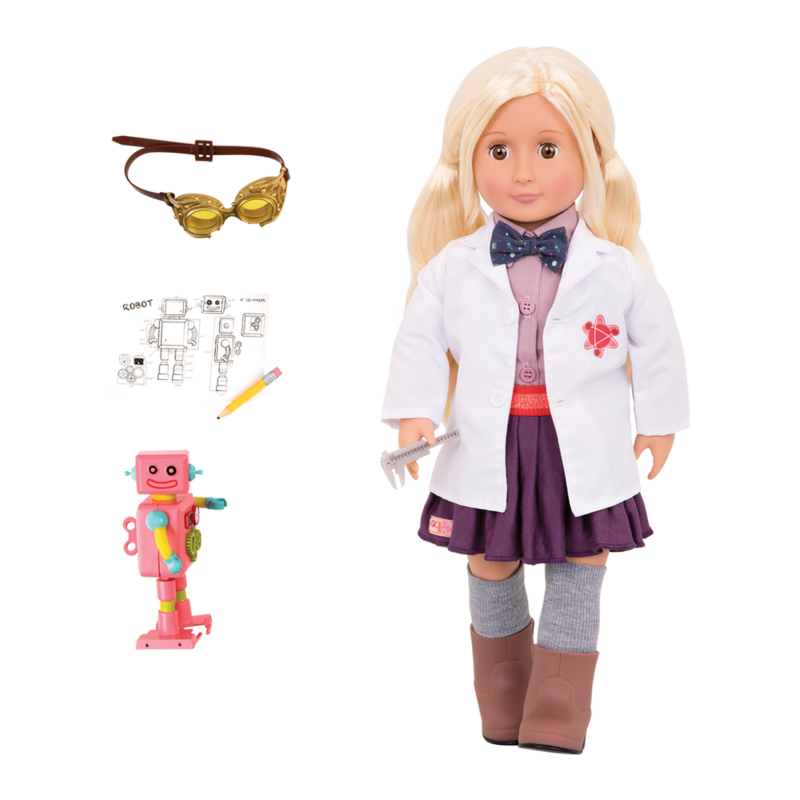 Help Amelia come up with her next exciting invention using her tools, blueprints, and cool inventor goggles. What will you and Amelia imagine next?